The Citizens' Hearing organised by White Ribbon Alliance Malawi at Kapyanga in Kasungu District has lead to the creation of a new health centre as demanded by citizens at the Hearing. Member of Parliament for Kasungu East Hon. 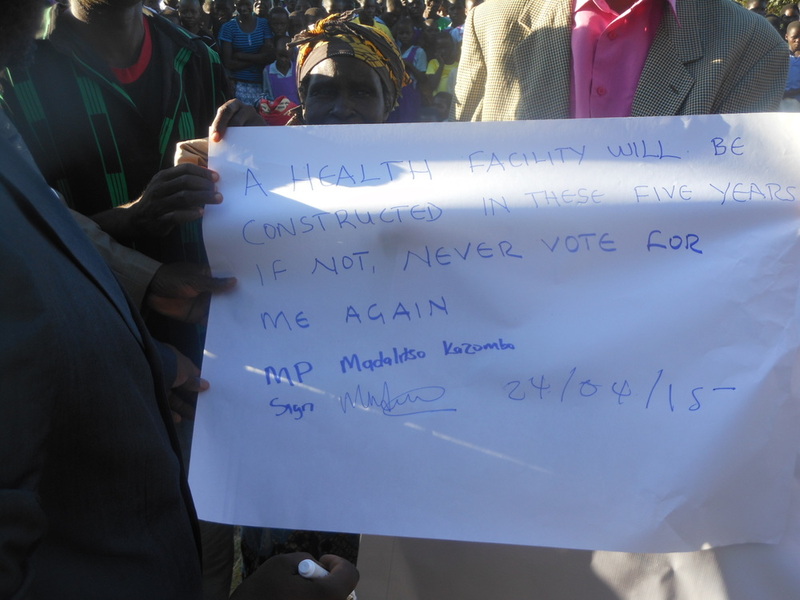 Kazombo promised that he would ensure a health facility was built for the community, signing a pledge in front of local people at the Hearing. Hon. Kazombo will soon be hosting a launch of the new health centre with members of the community and WRA Malawi. This is fantastic progress; Citizens' Hearings are powerful tools to help communities and leaders come together to improve health for women, children and adolescents, as well as the community as a whole.